Friesland (official and in Frisian: Fryslân) is one of the twelve Dutch provinces and is located in the north of the country. The capital is Ljouwert/Leeuwarden. In an international context the Province of Fryslân is sometimes called West Friesland. This name is used by analogy with the regions of North Friesland and East Friesland in Germany. In the Province of Fryslân the official languages are the Dutch standard language and also (West) Frisian. 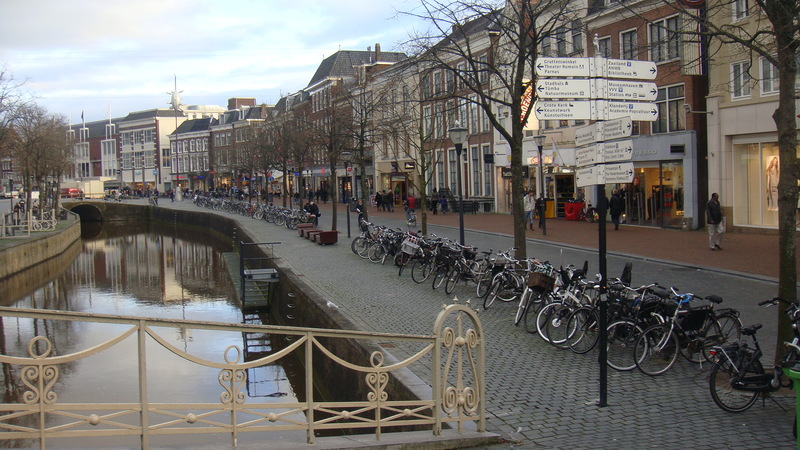 The majority of the inhabitants of the Province of Fryslân (75%) speak Frisian, but the Frisian literacy rate is limited, despite bilingual schooling. A special feature of the region is that it promotes multilingualism in general and provides a total package of language marketing to strengthen the Frisian language. That is especially the case with the campaigns of Afûk, in the trilingual schools, and in campaigns to explain the advantages of multilingualism to parents of new-born babies. It should be noted that the Province is officially bilingual. A large part of the population is bilingual Frisian-Dutch, normally with English as a third language. Between 400-200 BC the first people settled in the area of the Province of Fryslân. The ancient area of settlement of the Frisians is the region between Rhine and Weser. Since the expansion of the North Frisians to the North Frisian Islands and the neighbouring mainland, North and West Frisian have evolved separately from one another. In the 8th century Friesland became part of the Franconian empire, and was Christianised. During the Middle Ages the old area of settlement of the Frisians was bit by bit annexed by the Count of Holland (a county of the Holy Roman Empire). At the end of the Middle Ages, however, the area that remained had a strongly autonomous character: this was the time of the Frisian Freedom, where the local chiefs and peasantry were in charge themselves, without counts or dukes, and far away from the emperor. In the year 1498 this period came to an end and at first Friesland became part of Saxony, and shortly after of Burgundy. After an uprising and a long war against the Burgundian king, King Philip II of Spain, the Republic of the Seven United Provinces became independent and Friesland became a province within this confederation. From 1581 Friesland had a relatively independent position in the Republic, e.g. it had an admiralty of its own and was – after France – the first country that recognised the independence of the United States of America in 1782. In 1795 Friesland became part of the Batavian Republic, in 1806 of the Napoleonic Kingdom of Holland and in 1810 part of the French Empire. Since 1815 Friesland has been a province of the newly established Kingdom of the Netherlands. With the French era and with the Kingdom of the Netherlands the relative autonomy of Friesland came to an end. Since then the Netherlands have been a modern centralistic state and today the most important decisions are taken in The Hague. Since the 20th century there have been more and more possibilities to use the Frisian language in public life, in education etcetera. Further reading (in West Frisian): http://www.11en30.nu. This is a website introducing 30 topics of important events of the Frisian history. There can be found also an overview of historical events today, books, etc. (West) Frisian (Frysk) is an autochthonous minority language, which is spoken by approximately 450,000 people in the Dutch province of Fryslân/Friesland. The language belongs to the Frisian sub-branch of the West-Germanic branch of the Indo-European language family. The closest related languages are North Frisian with circa 10,000 speakers and Sater-Frisian as the sole remaining part of East Frisian with circa 2000 speakers. Together the three language form the Frisian language group, that together with English forms the North Sea group of the West-Germanic languages. The Province of Fryslân has about 647,000 inhabitants, and circa 450,000 of them speak Frisian. According to a survey by the Province of Fryslân (2007: De Fryske Taalatlas), 94% of the inhabitants of Friesland understand Frisian, 74% can speak the language, 75% of the inhabitants can read Frisian and 26% can write it. More than half of the inhabitants indicated that Frisian is their mother tongue. The first written documents – old Frisian legislation – are from the 12th century. In the 16th century Dutch became the official language and replaced Frisian in many areas. Since the 19th century Frisian gradually regained its position as official language in administration, education and in court. The current standard Frisian was developed from circa 1830. Another regional language spoken in Fryslân is Stellingwerfs, which is similar to Low Saxon/Low German in other provinces in the Netherlands and in the northern half of Germany as well. The Province of Fryslân is the only province in the Netherlands that has another language in official use next to Dutch: the Frisian language. It is used in most sectors: in court, in public administration, in radio, television and in education. In 1997 the name of the province of Friesland was officially changed into the Frisian name of Fryslân. There can be only one official name according to Dutch legislation. On 4 June 2013 the Dutch parliament voted unanimously in favour of an act on the use of the Frisian language. The act confirms the status as Frisian as second official language of the Netherlands and regulates the use of the Frisian language in public administration and in the legal system. The act also forms the legal basis for the covenant on the Frisian language and culture between the national government and the Province of Fryslân. It has to be noted that the act is actually merging existing provisions into a new act. At the moment a discussion is still under way about the public radio and television. In summary, it can be said that the regional authorities in the Netherlands, a decentralised unitary state, have a rather limited autonomy. Most tasks are decided by the national parliament in The Hague and have to be implemented by the provinces, and also the budget comes largely from The Hague. In the town of Leeuwarden / Ljouwert there are some important institutions of the Frisians, next to the provincial authorities. These are the Fryske Akademy/Frisian Academy, the Mercator European Research Centre, Afûk, the Tresoar centre for Frisian literature and history and many others. The Ried fan de Fryske Beweging (RfdFB) (English: Council of the Frisian Movement) is an organisation that was founded in 1945, and which works for the preservation of the Frisian language and culture in the Dutch province of Fryslân. The completely independent Council is a foundation that brings together 12 independent Frisian organisations. Among them are e.g. the West-Frisian section of the Interfrisian Council (Fryske Rie) and the association supporting the Frisian broadcasting company (Freonen fan Omrop Fryslân), but also the associations of other regional languages in Friesland (Bildts, Stellingwerfs). Besides these twelve associations, representing about 12,000 people in total, also approximately 500 people are supporting the Ried as individuals. Fryske Rie is the section West of the Interfrisian Council, the representation of all the Frisians from North, East and West Friesland. Since 1938 there is the Fryske Akademy/Frisian Academy in Leeuwarden / Ljouwert as centre of culture and research. The Academy carries out fundamental and applied research into the Frisian language, culture, history and society. The results are both important from an academic perspective and also for the society. The Mercator Network (as part of the Fryske Akademy/Frisian Academy) has the objective of bringing multilingual regions into contact with one another, to stimulate the exchange of knowledge between regions, and to facilitate the exchange of best-practices and good initiatives. The focus of the network lies on autochthonous regional and minority languages, but also migrant languages and small state languages are taken into account. Afûk is the most important institution in the region for the promotion of the Frisian language. The aim of Afûk is to promote the knowledge and use of the Frisian language and culture, and to publicise the region of Fryslân and its culture. Next to offering language courses, Afûk publishes magazines, computer games and books in Frisian. The campaign of Afûk called “Praat mar Frysk” (“Just speak Frisian”) is particularly interesting. This is an awareness raising campaign for the Frisian language, which is mainly active in the social media to promote the use of Frisian. 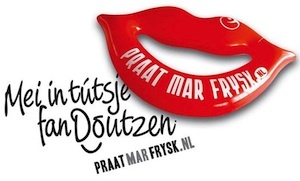 Since 2007 the international Frisian topmodel Doutzen Kroes is ambassador of “Praat mar Frysk”. Only since 1989 some playgroups have been officially maintained in the Frisian language. The number of playgroups and daycare centres with Frisian as colloquial language has grown strongly in recent years. In 2000 there were a total of 225 playgroups and 25-30 daycare centres in the Province of Fryslân. In 2007 there were 300 playgroups and daycare centres in total. Under the Sintrum Frysktalige Berne-opfang (Frisian-language child-care centre; abbreviated: SFBO) there are currently about 55 bilingual or Frisian playgroups and daycare centres with Frisian as language of instruction. They care for 1,300 children. Frisian is obligatory for all school students in primary education and for a part in secondary education, and it can be used as a language of instruction. Special for the school system in Fryslân is the high number of small schools with an average of 125 school students. An important achievement in the past 10-15 years was the establishment of trilingual schools (Frisian, Dutch and English). In the school year 2005-2006 there were 492 primary schools with circa 62,000 students. About 20% of these are bilingual schools – in most of the other schools Frisian is taught for only one hour a week. About 37,000 students go to secondary schools such as high schools and grammar schools. More than a third of these schools do not offer Frisian at all. In the schools that have Frisian in their curriculum, most teachers do not differentiate between mother tongue speakers and those students who learn Frisian as a foreign language. Furthermore, there is no exchange of information between primary and secondary schools as regards curriculum, teaching methods or the results of language learning. It can be said that in secondary education Frisian is hardly a language of instruction and that there is neither a monolingual Frisian secondary school in Fryslân, nor bilingual schools with an equal proportion of Frisian and Dutch. Bachelor- and Master courses or subjects of Frisian language and culture are offered at the universities of Groningen, Amsterdam and Leiden. Furthermore, in Leeuwarden/Ljouwert students can study to become teachers at the universities for applied sciences NHL Hogeschool and Stenden Hogeschool. Recently the university of Groningen has started to offer new Bachelor- and Master courses about minorities and multilingualism with a specialisation in Frisian. Adult education generally takes place in Dutch. Afûk however offers Frisian language courses, which are attended by circa 1000 student every year. These courses are financially supported by the Province of Fryslân and by some municipalities. Afûk also produces learning materials. Furthermore Afûk offers distance learning. For this purpose teaching and learning materials were developed within the project of Edufrysk. The lessons and materials can be downloaded from their website. The Folkshegeskoalle Schylgeralân is a cultural community college, offering non-formal education for adults, including courses and workshops about the Frisian language and culture. There is an annual intensive language course organised in cooperation with Afûk. Whereas Frisian is nowadays recognised and accepted by all political parties, the implementation of a pro-Frisian policy is progressing at a very slow pace. The increased awareness and respect for the Frisian language does not mean that more Frisians are actively working towards the protection and promotion of the language. Despite all, the number of speakers is stable if not slighly increasing, although the language quality is decreasing and Frisian is becoming more similar to Dutch. More than half of the population speaks Frisian as their mother tongue at home, in their social environment and in public life. Frisian can be regarded as a language of the informal social life: strong in oral use and rather weak in written contexts.